Species-specific enhancement of digestive and metabolic efficiency. 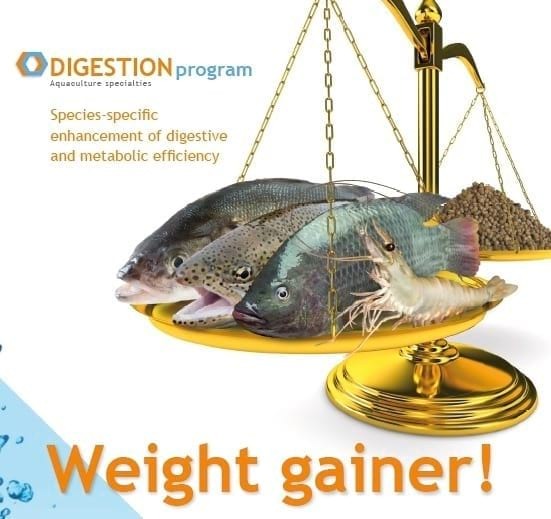 At Nutriad, we have developed new ways to reduce feed cost in different aquaculture species by maximizing the efficiency of digestive and metabolic processes which are at the basis of converting nutrients into gain. AQUAGEST® is specially taylored to the digestive physiology and nutritional requirements of each species. There is a lot to gain by minimizing digestive and metabolic losses. The AQUAGEST® product line consists of synergistic combinations of components stimulating digestive and metabolic processes, taylored to the digestive physiology and nutritional requirements of each species. 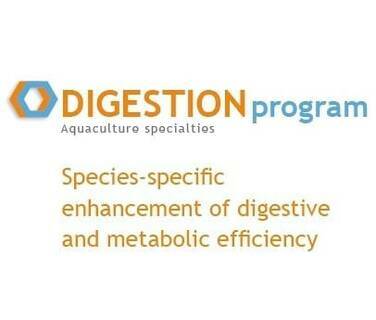 Our Digestion program is under continuous development in collaboration with specialized experts and aquaculture producers. Our current products include AQUAGEST®S (Shrimp), AQUAGEST®OMF (omnivorous fish like Tilapia, Catfish), AQUAGEST®CAF (carnivorous fish like Marine fish, Salmonids) and AQUALYSO (all species).